In recent weeks, scaffolding has gone up a few feet from the shrine in the gloomy shadows of the Arches of the Virgin, the first step in a rare agreement by the various Christian communities to save the dilapidated shrine, also called the Aedicule, from falling down. The March 22 agreement calls for a $3.4 million renovation to begin next month, after Orthodox Easter celebrations. 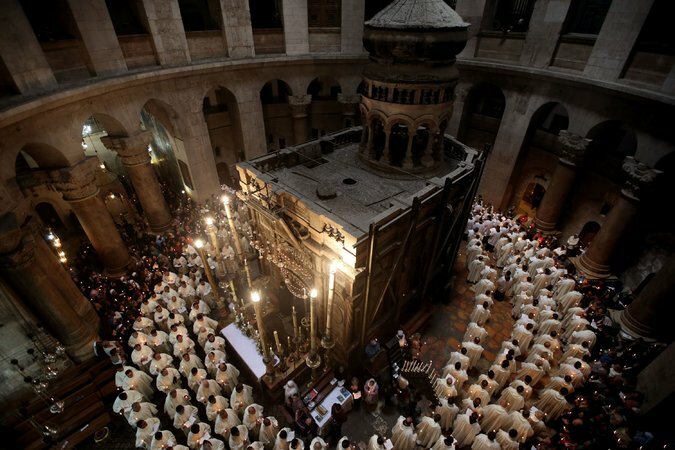 Finally, the workers will repair cracks in the remains of the rock-hewed tomb underneath, where most Christians believe Jesus was placed after he was crucified. A version of this article appears in print on April 7, 2016, on page A8 of the New York edition with the headline: Rival Christians Unite to Fix Perils at Jesus’ Tomb.